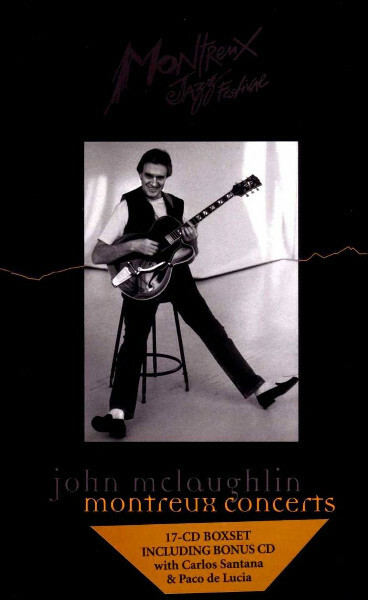 For my tastes, most of the McLaughlin Montreux box tends to range outside of my interest area, mostly spending a lot of time with the man's more modern line ups, but while it managed to not capture the very earliest Mahavishnu Orchestra line up (only Mk II here), McLaughlin had become something of a mainstay by the time the great Shakti rolled around. The three studio Shakti albums only hint at what a monster band this quartet was live, before this set you might have been lucky to grab the limited BBC in Concert LP or lucked upon their short video from Pori, Finland, but with this set you get to hear two shows (not counting the later Remember Shakti) in excellent sound quality. And this 1976 is the best of them. The level of musicianship here is telepathically high and everyone was a virtuoso and where, arguably, the first Mahavishnu had crumbled under the weight of its egos by the 1972 tour, with Shakti it just spurred everyone to greater and greater heights with the chemistry just going off the charts. The tracks here are all incredibly long as well, with “Joy,” “India,” and “Nata” all adding up to well over 70 minutes before finishing with the short coda "Kriti." This was a far different approach from their albums, allowing the band to be in the moment, create spontaneously, and shine with a huge heart. Honestly I wish there were certain Montreux sets on this box and the Miles Davis box that would get their own releases and this would definitely be one of them.